The Devil's in the Details. Energy Suspension warrants its products against defects in workmanship and material for 24 months when used on passenger cars and light trucks. Products that have been abused, altered, or incorrectly installed are not covered. Energy Suspension will replace defective products or component parts, if inspection for factory personnel determines the part to be defective. Warranty replacement covers only the product. Labor claims, time loss, or freight charges will not be honored. Where do I buy this? It’s a vicious cycle. Soft rubber bushings on a suspension result in deflection, which leads to the soft rubber bushings wearing faster. It is a cycle that you surely were not thinking about when you were first handed the keys to your Impreza and dreams of flying around corners with perfect handling began to consume your mind. The adrenaline rush that comes with a four wheel drift would come to an end pretty quickly when the tires have worn because of the bump steer caused by; you guessed it, soft rubber factory bushings. Thankfully, there is a solution to return your Impreza to the grandeur of old. Energy Suspensions’ 19.18102, a Master Bushing kit for your 08-14 Subaru Impreza WRX. With Energy Suspension’s HyperFlex Master Kit 19.18102, you can complete a total overhaul of your suspension without costing an arm and a leg. The polyurethane bushing replacement will do away with the soft rubber bushings and replace them with Energy’s performance polyurethane. Polyurethane is durable and can withstand even the toughest of contaminants thrown its way. 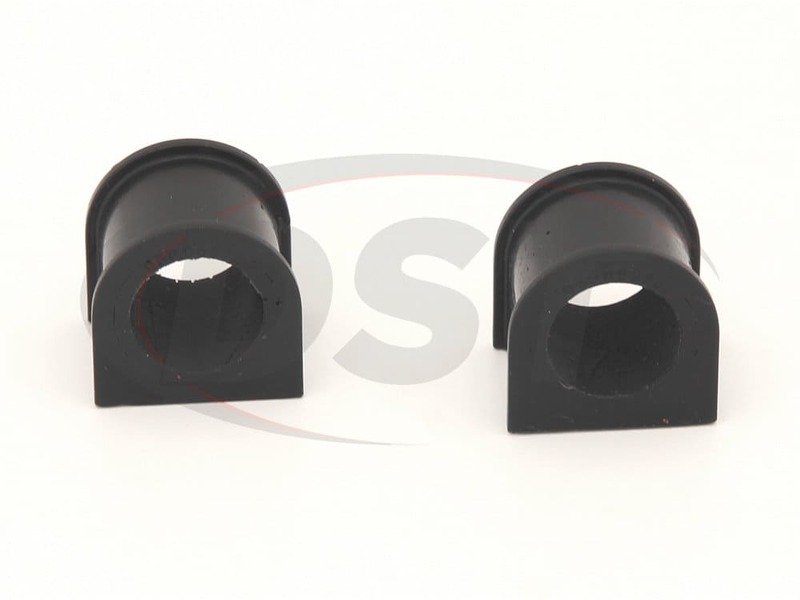 With these reliable performance bushings in place, your suspension will be given that boost it needs to improve handling and braking. The 19.18102 also has an option of color: red or black. The letter indicator at the end of the part number will tell you what color bushings should be included in the box. For black the letter indicator is “G” and the red, “R.” That is 19.18102G for black and 19.18102R for red. Both of these colors use the same durometer and have the same cost, so go with whichever color you desire. The 19.18102 includes the Front Control Arm bushings, the Front Sway Bar bushings, the Steering Rack bushings set, the Shifter Bushings, the Transmission Cross-member bushings, the Rear Sway Bar bushings and End Links and the Rear Control Arm bushings. Each one of these bushings play an integral role in the performance of your suspension, so it is important to go with only the best material of suspension bushings. Your front control arms handle a lot of stress, so it is no wonder why these are high failure bushings. When these bushings do fail, they leave a nice clunking noise and sloppy handling. Energy’s polyurethane can ensure your WRX won’t clunk as you fly down the road. This portion of the master kit will come with two bushings for the vertical position on your front control arms, and two bushings for the horizontal position. Energy has designed the horizontal pieces in a split design. This design allows for an easier installation of this normally tough to install bushing. This kit does not stop there. The rear control arms will be covered as well. All of the positions of the rear controls are covered, front and lower, as well as positions on the trailing arm and the lower toe adjustment. Installing these two kits alone are worth the price of admission, as the benefits are numerous. Improved handling, improved braking, a better feel around corners and perhaps most importantly, durability so you won’t have to install new bushings again. 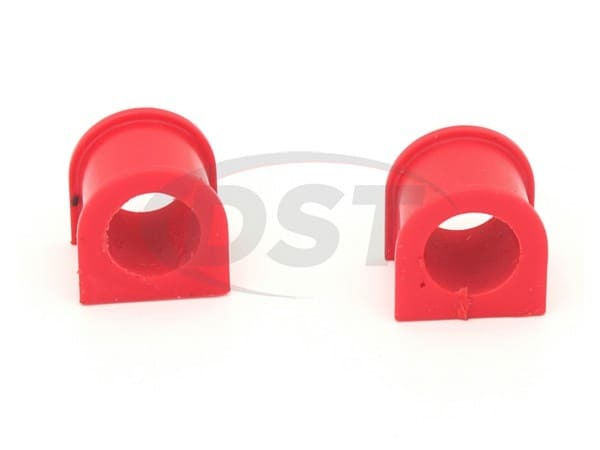 To complete your suspension upgrade is the rear control arm bushing set. Pretty simply, if any point on your rear control arm has a bushing, this kit has you covered. Not only are there bushings for the upper and lower control arms, but this kit also includes the bushings for the toe adjust link, the subframe and the trailing arm. Just like the front control arm kit steel inner sleeves that match the OE bolt specs are included. The 19.18102 is manufactured in the United States and is carries a two year warranty. Several tubes of Energy Suspension’s special Formula 5 pre-lube are included to ensure your bushings do not squeak. Check out the Energy Suspension Master Kit 19.18102, and transform your Impreza WRX back to the machine you fell in love with the first time your put the keys in the ignition. Diverse Suspension Technologies is a USA warehouse that stocks and sells suspension parts. We like to learn about the parts we sell so that we know what we're selling our customers, and to ensure those parts live up to great user expectations. We love suspension parts and we hope you too!